The Interpreter’s House number 58 is out, with a great cover by Stuart Mugridge and a lively introduction by editor Martin Malone. 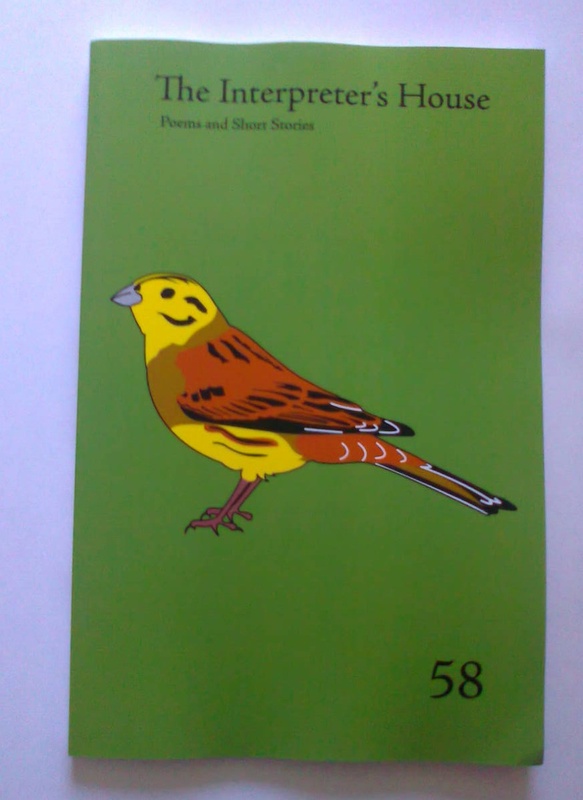 The issue contains poems and short stories by over 60 writers, and includes my poems ‘The Engineer’ and ‘Anymore’. They were my first two acceptances, and I’m delighted they’re also my first two published poems. The Interpreter’s House website is here. This entry was posted in Published and tagged Anymore, The Engineer, The Interpreter's House. Bookmark the permalink.